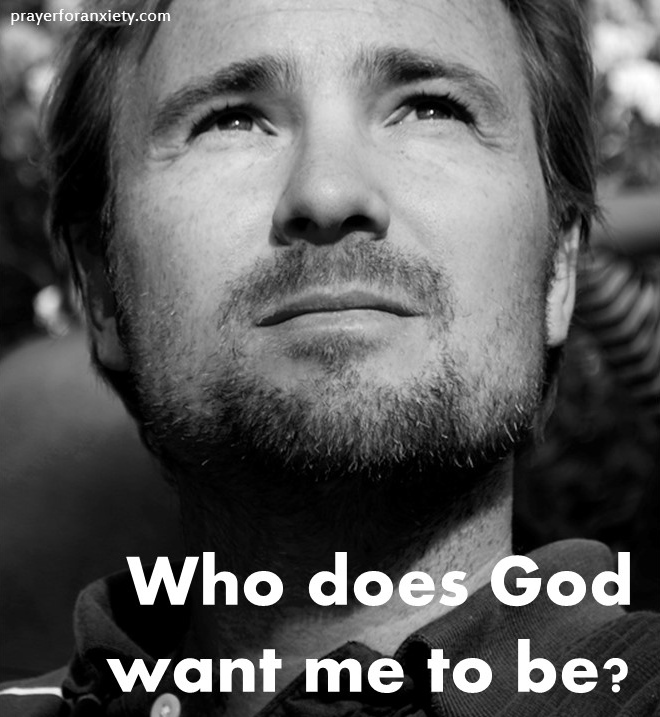 Who does God want me to be? We all know about the Ten Commandments. Also, Jesus reminds us to love God with all our heart, soul, and mind. We should also love our neighbor as we do ourselves. But who does God want you to be? You might wonder sometimes, “Who am I?” or “What does God want me to be?” The answer is much simpler than you might imagine. God wants you to be yourself. But how? When you are yourself you are authentic; you are sincere. You don’t have to put on any masks. This can be frightening for some, but the key element is truth. We know right from wrong, and we know when we are trying to hide something. So when you recognize and live in the truth you can be yourself. The element of truth in Christ is also essential. We often label ourselves to excuse our bad behavior. We say, “I’m just like that. I can’t change.” But truth in Jesus means that you are a “new creation” and that you can change (2 Cor 5:17). You don’t have to allow negativity to define you anymore. Begin to trust that God can change you (more on this later). When Jesus gave his life for us, it freed us from the condemnation and power of sin. In some circles these days it’s not popular to talk about sin. Our environment or past can influence our behavior, but in the end we make the choices in our lives. If we are always putting the blame elsewhere, we risk losing our identity. This is because, in an important way, our weaknesses define who we are. These are also the best areas in our lives where we can improve, or even better, let God improve things. Sin is self-destruction. The mistakes we make, especially when we know better, lead to spiritual death. But Jesus paid the price for our mistakes – every single one, no matter how shameful. He frees us from all condemnation. So when you accept the work Jesus did for you – you are free. No, you won’t be perfect, but you are able to resist the things that made you fall before. True freedom is not doing whatever you want, but being free from the things that tie you down. In the past, when self-hurt ruled your life, you could not resist. But now the Holy Spirit gives you the strength to fight back. God’s Spirit is the Spirit of truth. For the Christian, the greatest truth of all is Christ’s resurrection. This means all things are possible, and all things can change for the better. Do you struggle with fear? Then ask the Spirit to give you courage. Do you have trouble being patient? Then ask Jesus to bring peace into your heart. Your true identity is not meant to be fearful, impatient, proud, or depressed. Your true identity is meant to be a child of God. This means all your talents and virtues can be expressed fully and naturally. The chains of sin are broken, and the Spirit of God living inside you sets you free. You might be thinking, “But didn’t we say our mistakes also define who I am?” That’s exactly right. Because in our weakness it shows how much we need God. In Jesus’ forgiveness it shows how much God loves us. And when we let his Spirit improve us it shows how much Christ is glorified in our lives. So you don’t have to be perfect. Instead, just be yourself. Live in truth; be free, let the Spirit guide you. Be a child of God. You always give us such encouragement! Thank you and God bless! Thank you Debbie. God bless you too!